Cineshop Brazil has partnered with Gig Gear to distribute all Gig Gear products in Brazil. BROOKLYN, NY — January 4, 2018 – Gig Gear LLC, maker of Gig Gloves — protective work gloves designed specifically for music and audio production pros as well as all other live event and entertainment production professionals — has named Cineshop Brazil its authorized Brazilian distributor. Headquartered in São Paulo, Cineshop Brazil distributes products to the growing film, theatre and entertainment production industries. “As Gig Gear continues to successfully make Gig Gloves the standard work gloves for production professionals in the U.S., we have been actively seeking to grow our international reach,” said Danny Shatzkes, founder of Gig Gear. “Sealing the deal with Cineshop Brazil now allows us to get our products into the vibrant South American market for the first time, and we couldn’t be happier to be working with them. Brazil has huge demand for products such as ours considering that they have such a large production industry. 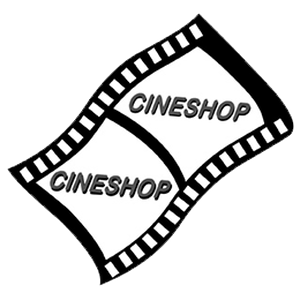 Now, working with Cineshop as our exclusive distributor we are able to help fill that demand in Brazil and hopefully other countries throughout South America as well." Featuring strong nylon threading throughout, Gig Gloves boast TPR molding on the back of the hand and fingers to ensure ultimate protection against impact, abrasions or pinching. Fold-over fingertips allow for use of smaller tools and items, and Gig Gloves work with touchscreen devices without needing to remove the gloves. They are available in three models: Original Gig Gloves, all-black Gig Gloves ONYX and fleece-lined THERMO Gig Gloves and come in 6 sizes (XS-XXL). Founded in 2014, Gig Gear LLC was launched by Danny Shatzkes with the intent to provide music and audio professionals with novel and innovative products to make their jobs safer, easier, more efficient and more fun. For more information, visit www.gig-gear.com.